My Nintendo News has reported that the Nintendo president Satoru Iwata has confessed that he believes the company could have done better in their announcement of the Wii U. The main problem according to the source is that they spent too much time concentrating upon the controller. This left the watching world bemused and confused. Iwata said that the press was also to blame, noting that it’s not possible to see how important the Wii U console is unless you’ve actually given it a try. “There have been two groups of people writing about our announcement – those who have been able to experience the Wii U, and those who have not, and are simply writing about it from wire stories and pictures,” he mused. Lets us know how your received the news at E3. We thought it all looked pretty great but be good to hear from you. 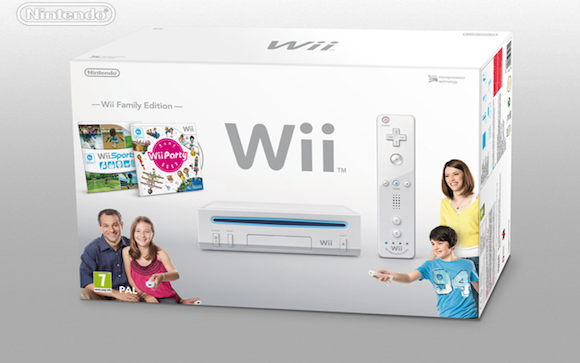 Wii U Brief Spec List? New Controller: The new controller incorporates a 6.2-inch, 16:9 touch screen and traditional button controls, including two analog Circle Pads. This combination removes the traditional barriers between games, players and the TV by creating a second window into the video game world. The rechargeable controller includes a Power button, Home button, Control Pad, A/B/X/Y buttons, L/R buttons and ZL/ZR buttons. It includes a built-in accelerometer and gyroscope, rumble feature, camera, a microphone, stereo speakers, a sensor strip and a stylus. So a little more detail than before but not much. There are also tweets that the new controller will not be multi touch and only a single touch screen. So what do we know aside from the video. 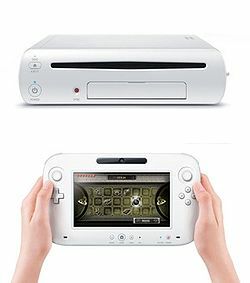 The new Wii U controller features a 6.2-inch touchscreen, microphone, accelerometers, gyroscope, thumbpads, D-pad and shoulder buttons. Details over the console itself are light and the design shown in pictures so far may actually be a prototype. All the focus today was really on the controller and you can tell why when you watch the above video.